I left him to his envy. A colleague’s envy, when all is said and done, is the scholar’s one reward on earth. I didn’t tell him that in all likelihood I wouldn’t be publishing anything. My nature is to spend years amassing the material for a great work and, when everything is at last ready, I lock it in a desk drawer and start something new. –Antal Szerb. The Pendragon Legend. Thanks so much! 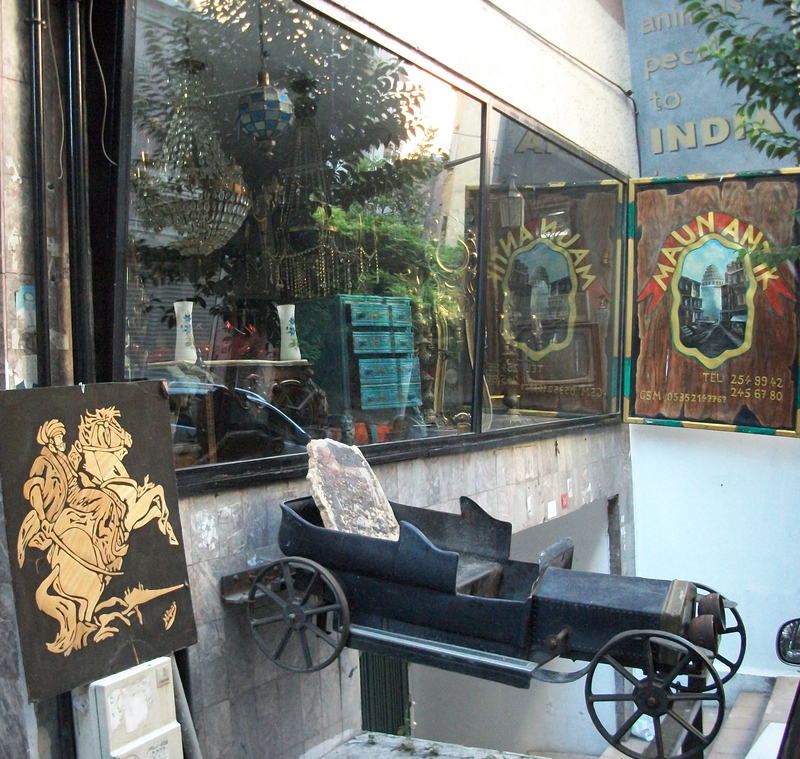 This is from in an antiques district in Istanbul. So much to see. Ah, I had a phase of finding European literature a while ago and came across Szerb then….loved Journey by Moonlight. I have given away so many copies of Journey by Moonlight! I think it’s a beautiful book, and really hilarious. This wasn’t always the reception from others, so I re-read it about a month ago to check. Yep, still awesome! I think it’s in my top 5 favorite books. 🙂 I think even as optimistic as I am, I like books that others seem to think are bleak! You and me both! By the yay, have you read ‘The Garden of the Finzi Continis’ by Giorgio Bassani? a bit Italian Grand Meaulnes…. I haven’t, but I will gladly take your suggestion and look it up! This entry was posted on April 8, 2013 by thenicethingaboutstrangers in Blogging, Europe, Inspiration, Literature, Travel, Writing and tagged Budapest, finishing, hiding, Hungary, novels, Szerb Antal, writing.